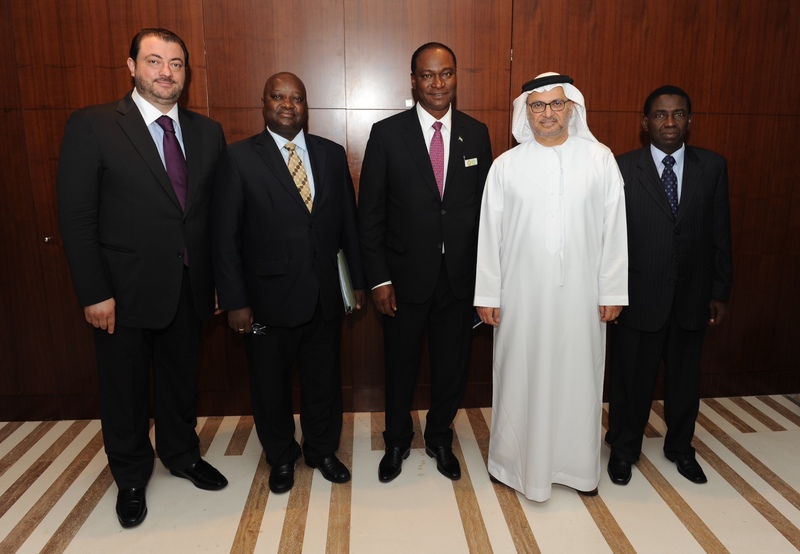 Sierra Leone’s minister of foreign affairs and international cooperation Samura Kamara (Photo: centre), arrived in the United Arab Emirates last Monday to attend the Abu Dhabi ASCENT Climate Change meeting, and to discuss trade, investment opportunities and bilateral relations with the UAE government. The government of Sierra Leone is looking to establish a fully fledged diplomatic mission in Abu Dhabi, which will oversee the promotion of the country’s economic interests in that region. Minister Samura met with his counterpart – minister of state for foreign affairs in UAE – Dr. Anwar Mohammed Gargash, welcoming the Sierra Leonean delegation which included; Mr. Siray Alpha Timbo – Ambassador Designate of Sierra Leone to UAE; Mr. Bahige Annan – Consul General of Sierra Leone in Dubai, UAE; Mr. Eric Gamanga – Director Asia & ME Affairs in The Ministry of Foreign Affairs and International cooperation. The parties discussed a range of trade and investment possibilities – in both the private and public sectors; economic and technical cooperation in the fields of infrastructure developments, especially road construction. The government of Sierra Leone is looking for investments to transform the country’s water resources, as well as human resource capacity. Early this year, both governments signed an agreement following the funding award by IRENA/ADFD for the development and management of an $18 million “Solar Park Freetown Project”. 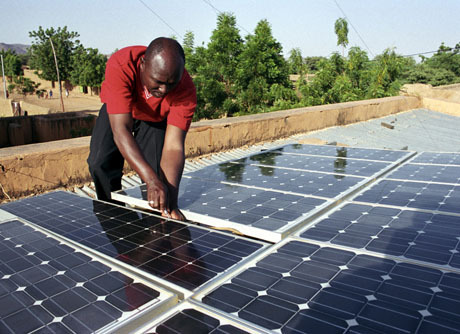 The Freetown Solar Park will generate 6 megawatts of electricity that will power 3,000 homes across the country. According to recent statement by president Koroma, Sierra Leone needs a total of 1000 MW (1 gigawatts) of electricity to meet the needs of non-industrial consumers. A total of 35 megawatts is currently produced in the country, leaving hundreds of thousands of homes and business short of electricity supply. It is not yet clear when the project will commence in Freetown. The Abu Dhabi ASCENT meeting was held in preparation for the climate change summit, which will take place on September 23, 2014 in New York. The special two-day climate change meeting was hosted by the UN and the UAE on 4 and 5 May, bringing together – ministers as well as business, finance, and civil society leaders to exchange ideas on the effects of climate change. Delegates discussed a range of proposals for action for their respective countries, businesses and organizations, becoming more involved in various partnership initiatives. This could help deliver concrete actions at the UN Climate Summit in September, in New York. Minister Dr. Anwar Gargash promised Dr. Samura Kamara, and assured him of continued support and cooperation between the two countries. Abu Dhabi is hoping to soon establish a bauxite mining project, agri-business and fisheries processing in Sierra Leone.